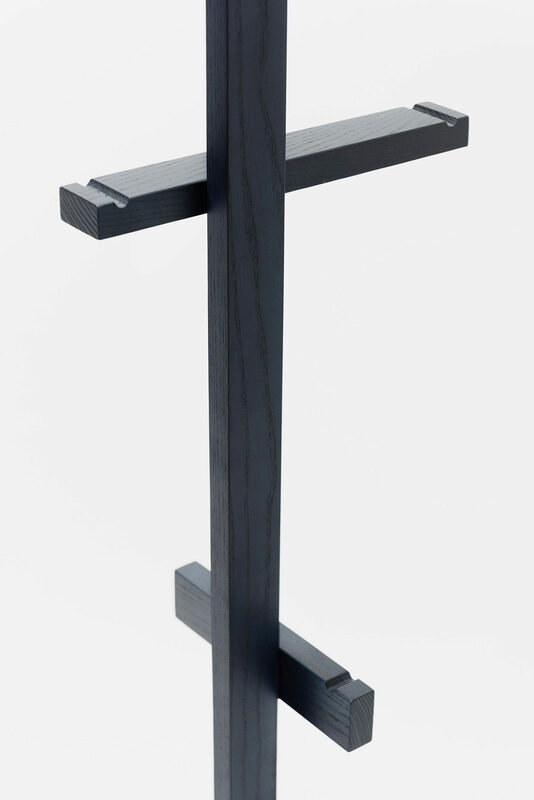 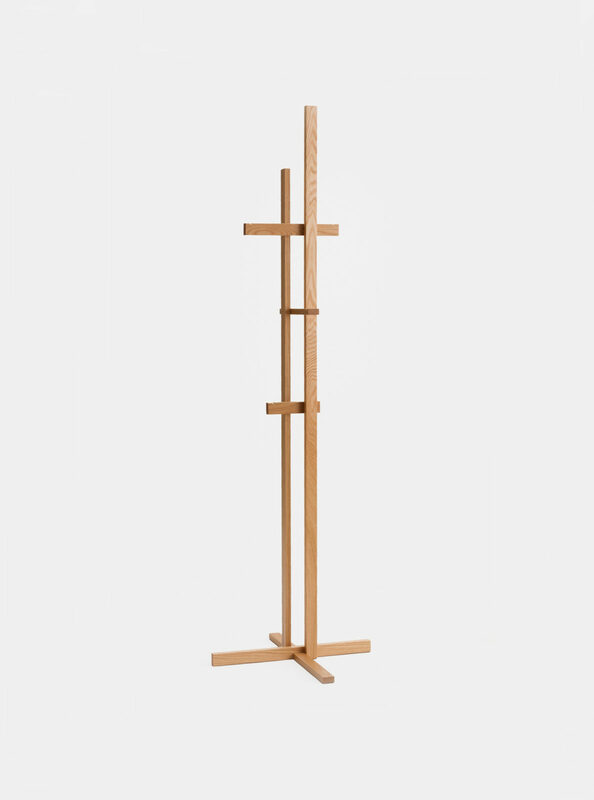 This coat stand is a functional sculpture in a house. 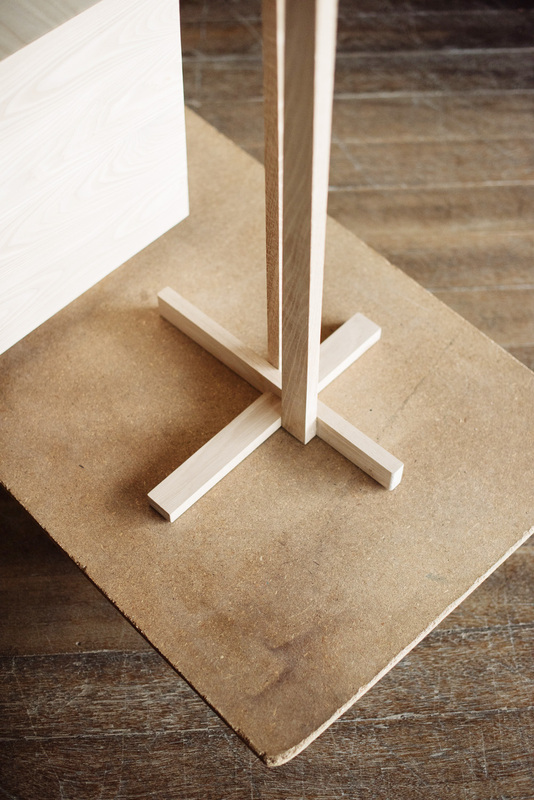 The construction elements are made of one type of timber in different lengths. 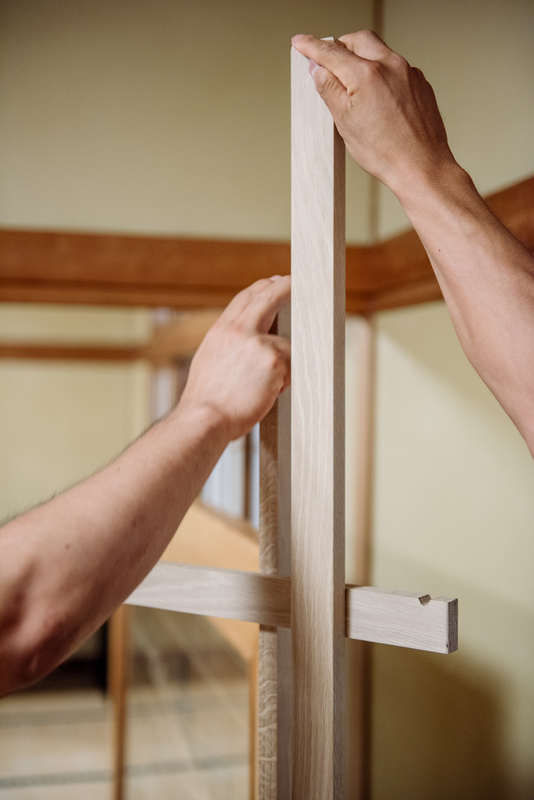 As they are jointed together in different places with various angles and directions, the object changes its character according to the side where it is looked at. 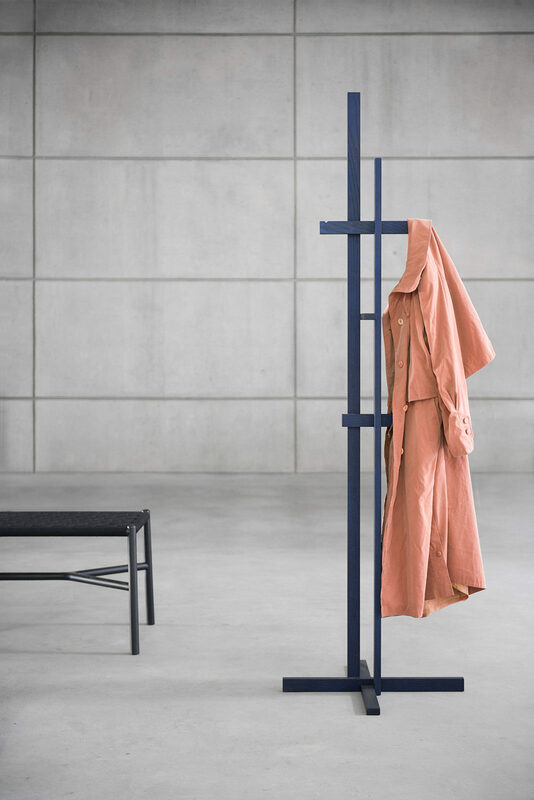 The design has the face side which hangs more clothes and the back side with less hanging space which is designed to be facing the wall.